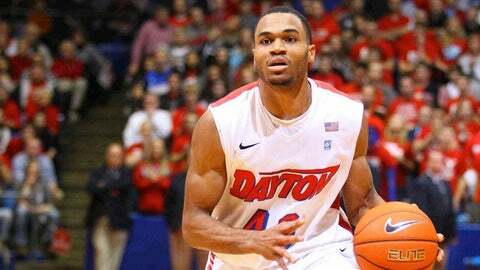 DAYTON, Ohio (AP) — Dyshawn Pierre had 19 points and 10 rebounds to lead Dayton over Murray State 72-51 on Sunday. Dayton (10-3) has 10 nonconference wins for the eighth straight year. It was Pierre’s third-straight game scoring and rebounding in double figures. The Flyers had a 20-4 run capped by Pierre’s 3-pointer to take a 33-21 lead. Yet two Dayton turnovers led to four points by T.J. Sapp, putting Murray State (5-7) within eight, 33-25 at halftime. Pierre scored 11 points in the second half. His 3-pointer capped a 16-8 run to give Dayton a 49-39 lead with 11:14 remaining. Devin Oliver’s dunk stretched the Flyer lead to 56-41 with 6:29 to play. Oliver scored 12 points and had 12 rebounds. Jordan Sibert added 11 points for the Flyers. Cameron Payne scored 13 points and had six assists to lead Murray State. Sapp added 12 points and had three steals.